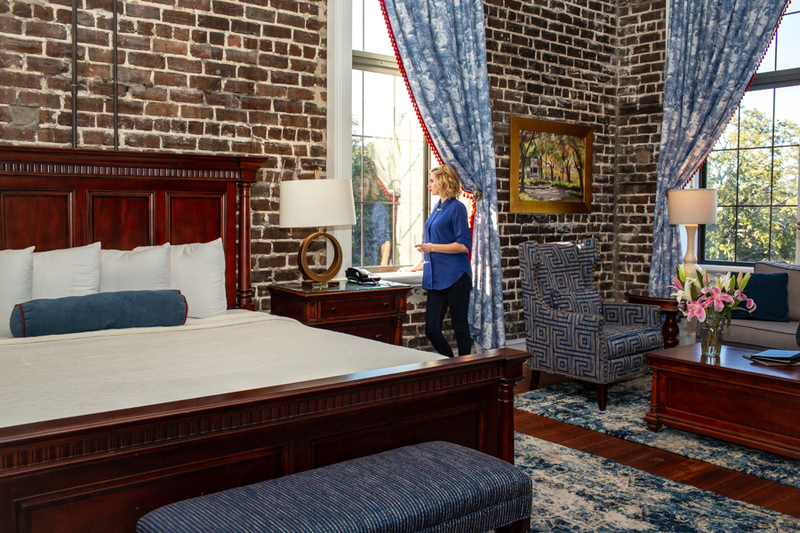 At East Bay Inn, you'll find warmth and hospitality in our spacious, historic guest rooms. 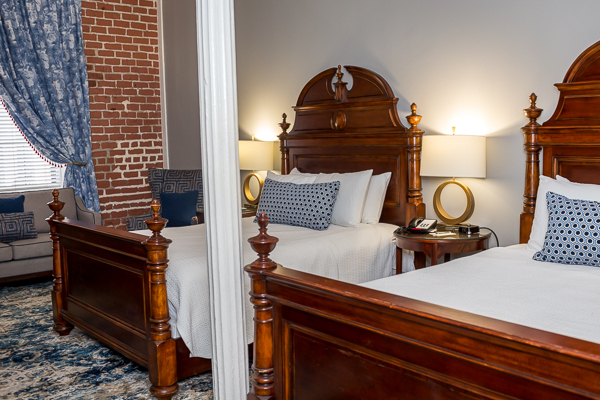 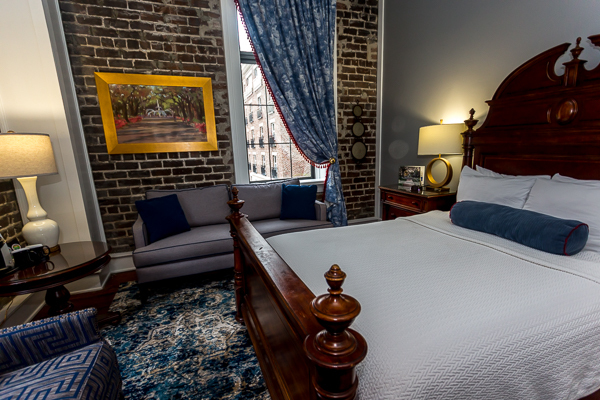 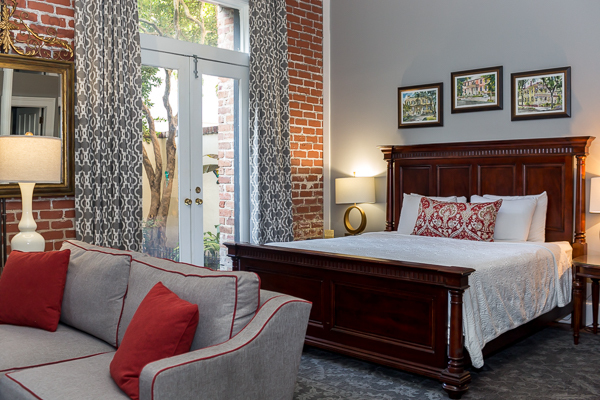 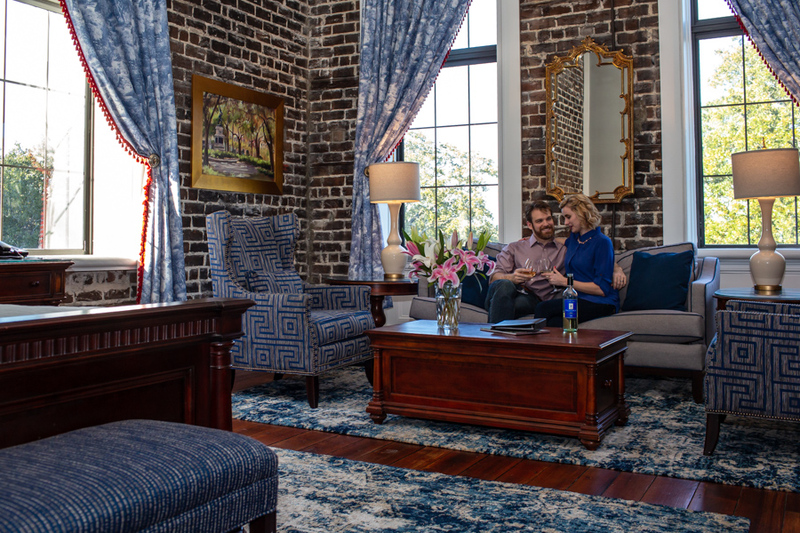 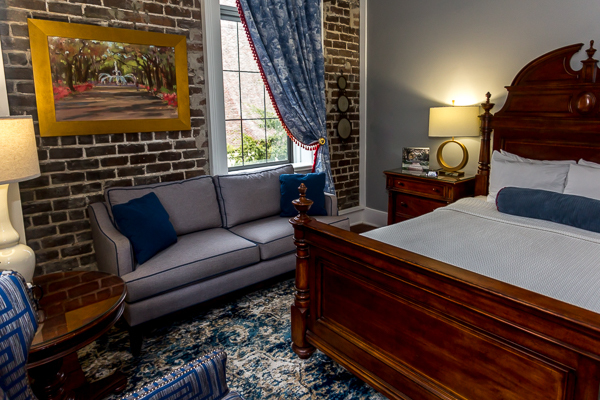 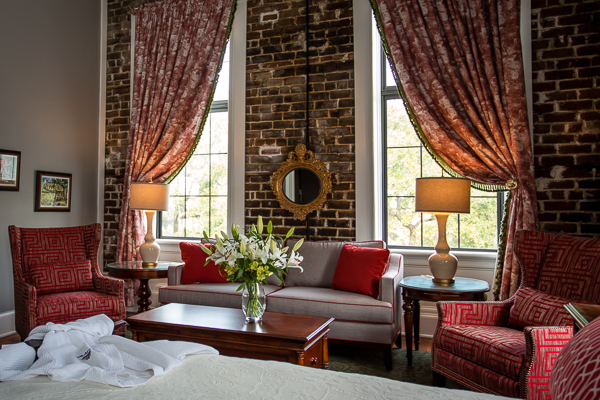 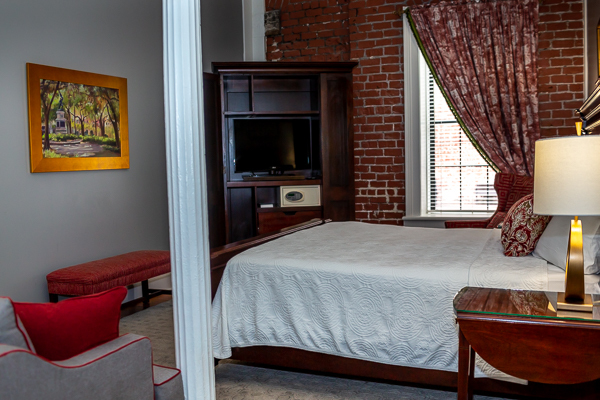 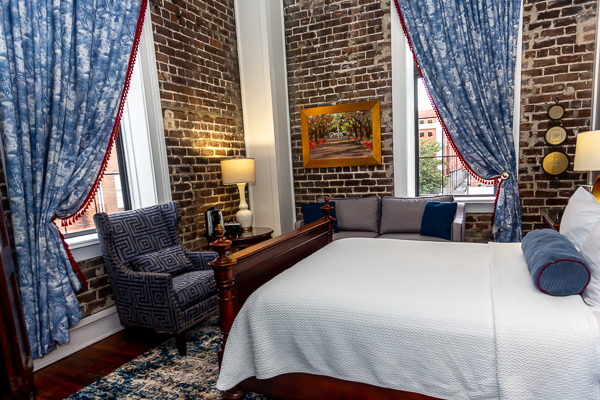 We offer a variety of gorgeous guest rooms for you to create your perfect Savannah travel experience, as well as rooms that are pet friendly and feature private patio access for your four-legged family member. 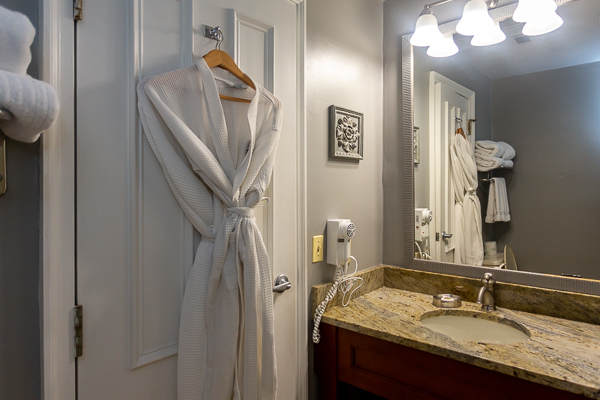 All rooms at East Bay Inn feature elevator access to all floors, individual climate controls, private baths, a CD player, in-room safes, and soft robes. 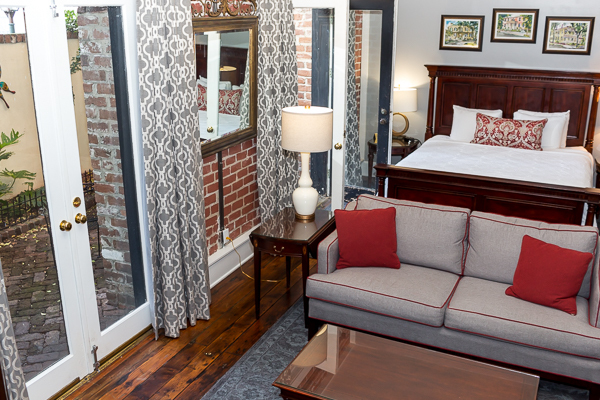 Our very finest and best-loved guest rooms are the Corner King Suites. 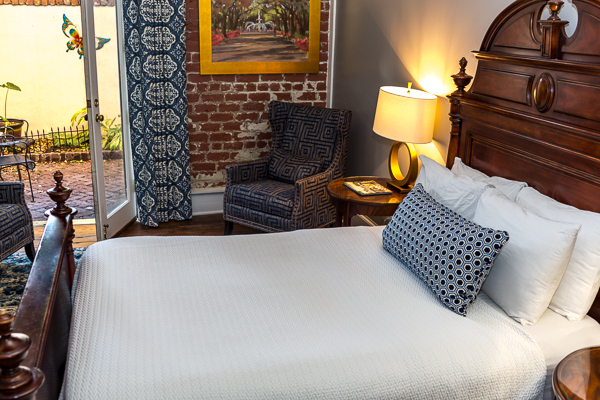 For cozy, intimate guest rooms, consider our Classic Queen. 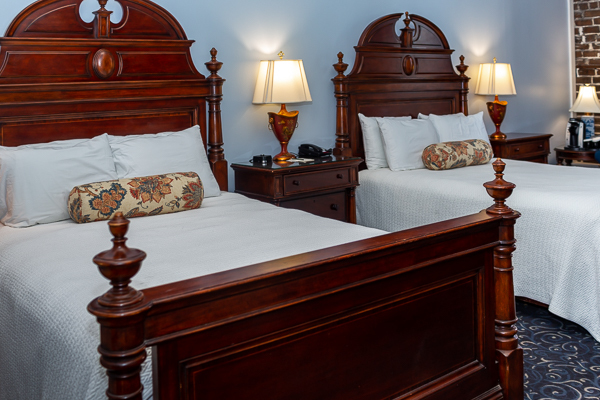 They're smaller than other rooms at the Inn, but what they lack in size is made up in their comfort and style. 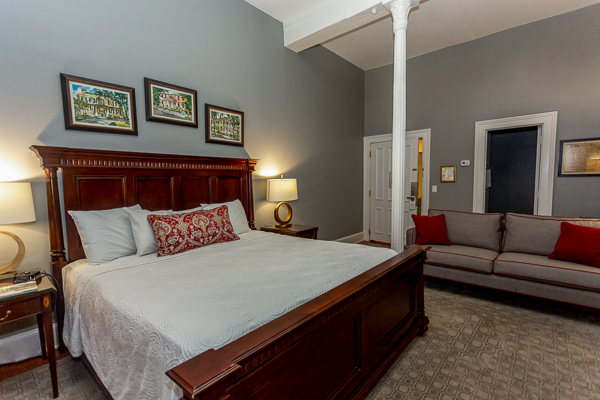 These are the quietest rooms in the house and are an exceptionally romantic room choice. 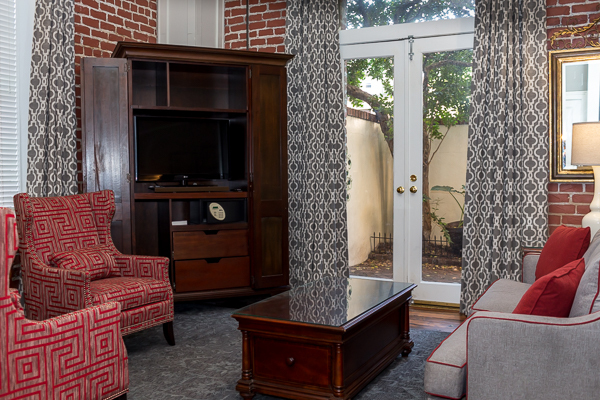 Our Patio Queen Room is one of our ground floor rooms complete with 290 square feet of space to relax and unwind. 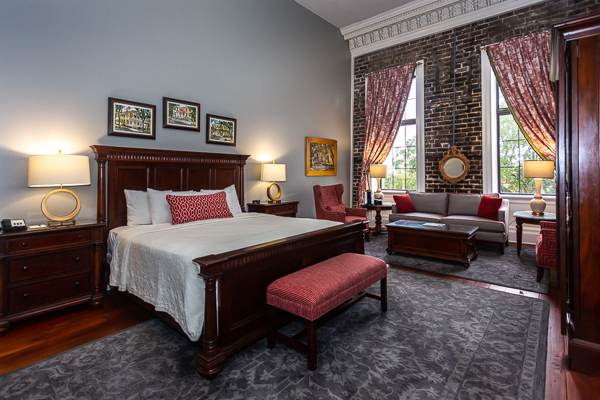 East Bay Inn has five deluxe guest rooms with a king-size bed. 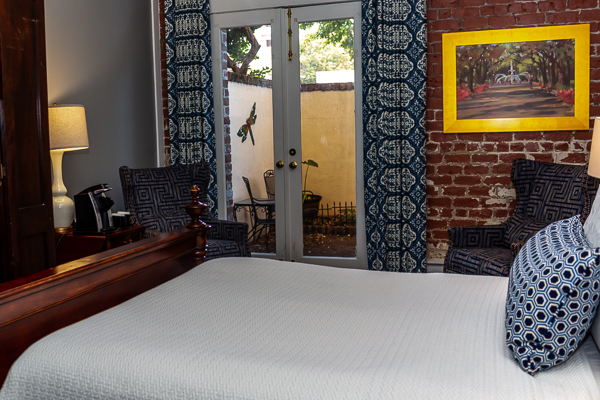 This room is a mid-sized guest room at approximately 380 square feet. 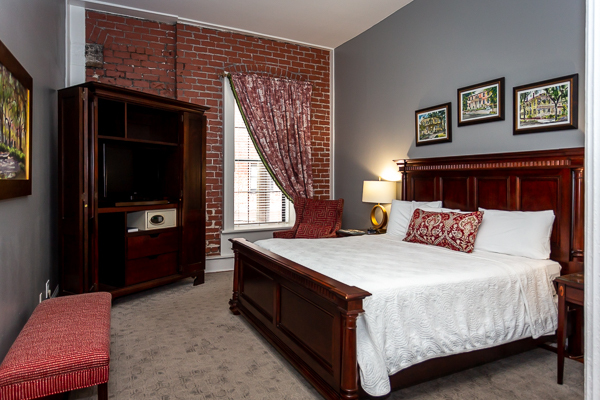 This room has a king-size bed, and is a mid-sized guest room at approximately 380 square feet. 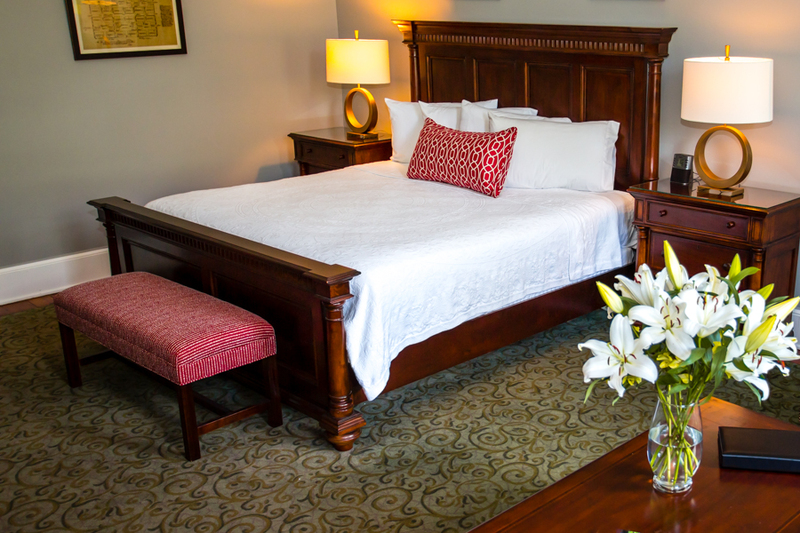 Our Deluxe Two Queen Rooms are our mid-sized guest rooms with two queen beds. 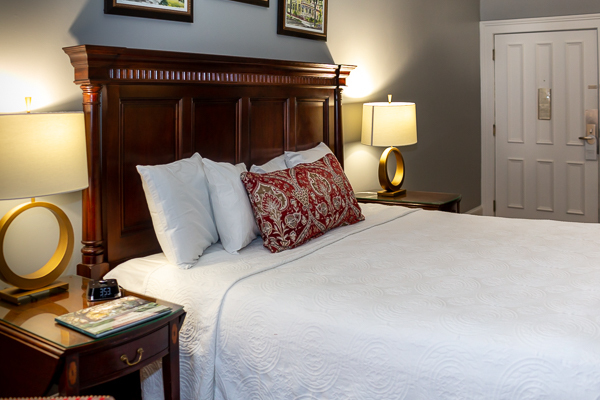 There are six of these comfortable, relaxing rooms at East Bay Inn. 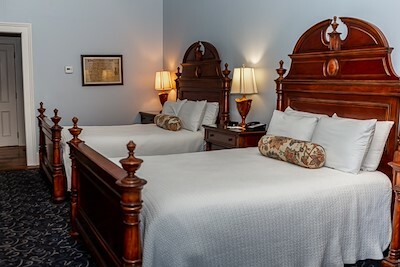 Among the largest guest rooms at East Bay Inn, the Superior King Rooms feature a king-size bed and spacious bathrooms. 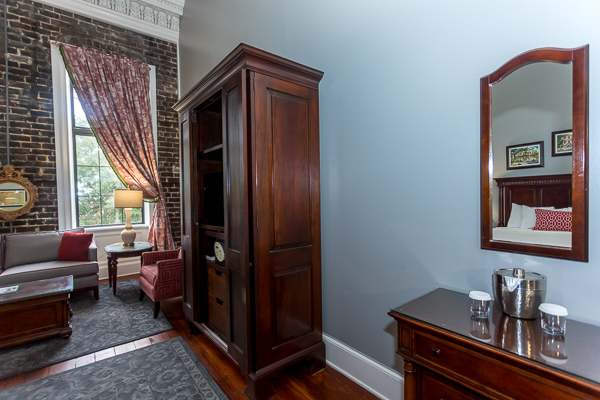 These rooms offer guests a grand, open feeling with a beautifully designed space that includes a sitting area and armoire with television. 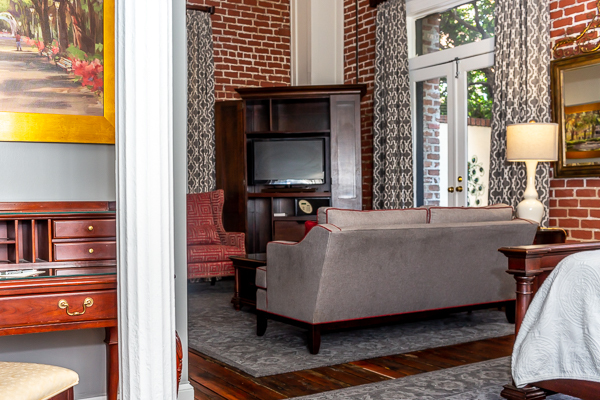 When only the best will do, guests select one of the inn's four 475-square-foot Corner King Suites. 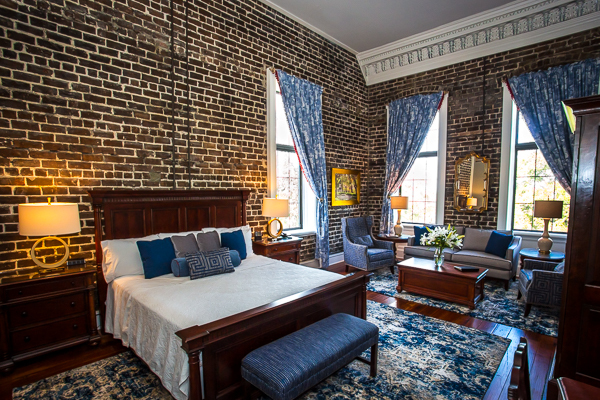 These suites feature two tall, exposed-brick walls topped with beautiful crown molding. 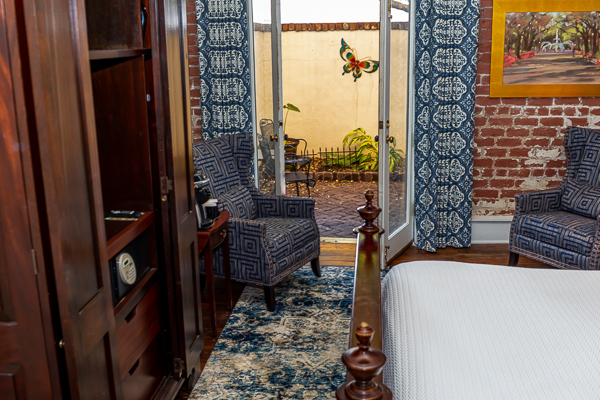 This unique guest room features a king-size bed, a 16-foot ceiling, and a small patio that is accessible only from this room. 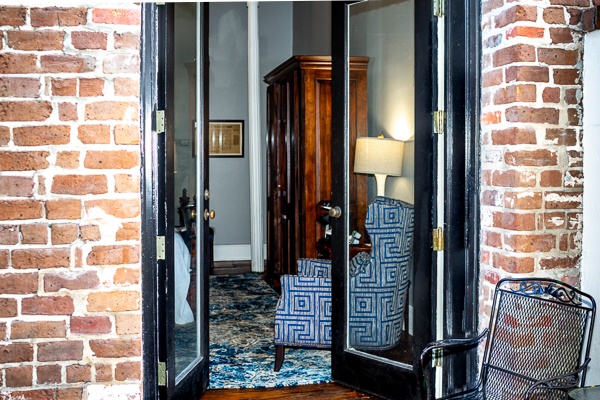 It's perfect for those who want a little breath of fresh air without leaving their room. 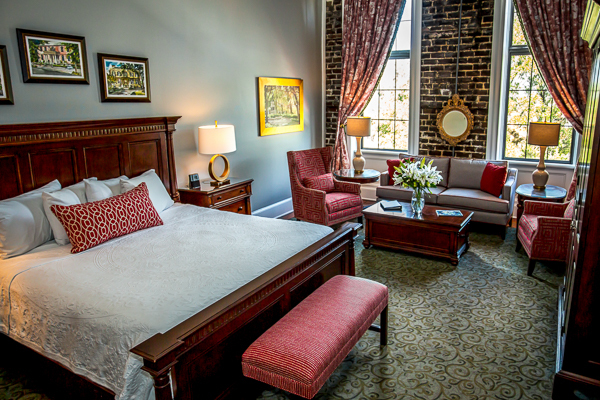 This room is one of our most sought-after and is the only room with a patio and a king-size bed. 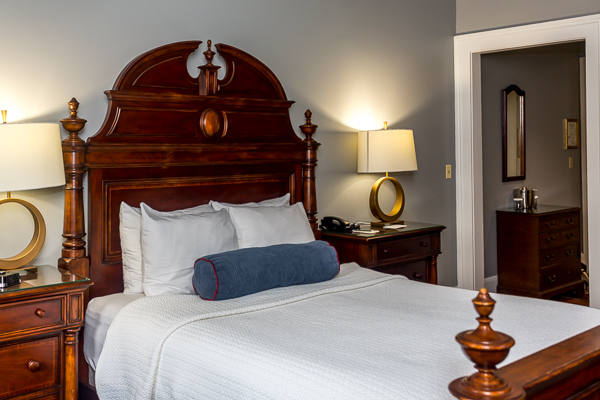 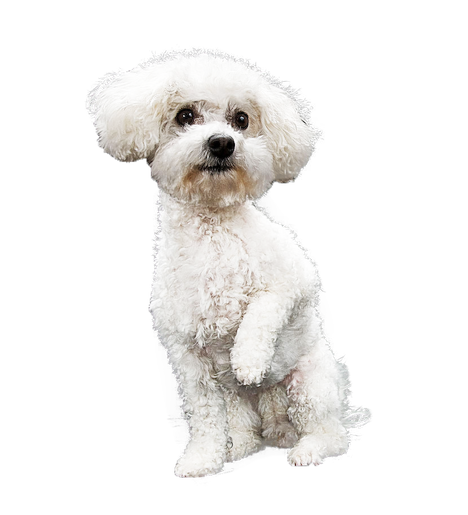 At East Bay Inn, we are happy to welcome your furry family members. 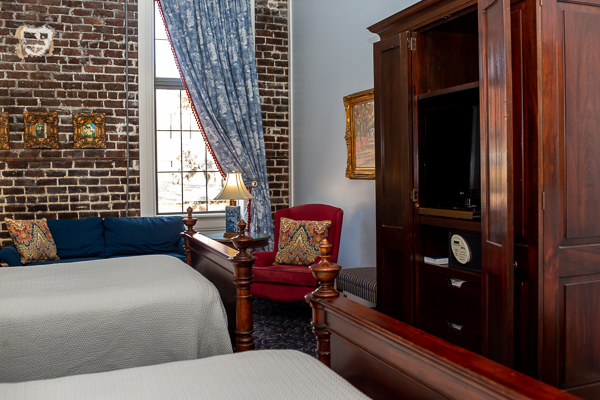 East Bay Inn offers a variety of room types available for guests traveling with their pets. 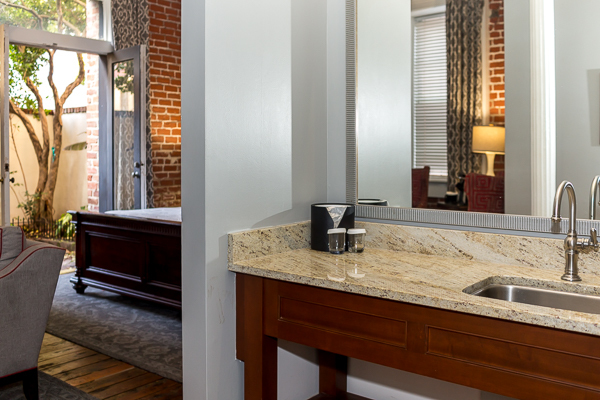 We highly recommend our most spacious and comfortable pet-friendly room, the Patio King Suite.